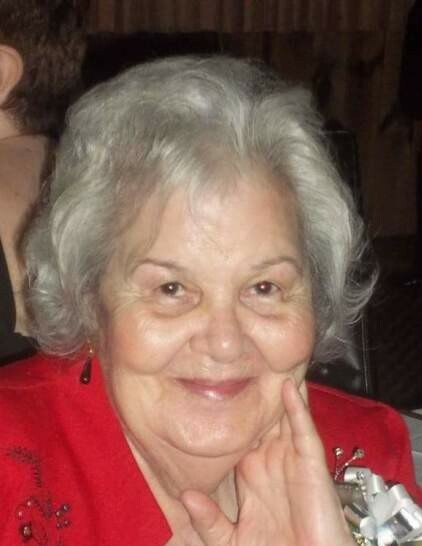 Shirley M. (Bettencourt) Pearson, 80, of Riverside, died peacefully surrounded by her loving family on Friday, September 14, 2018 at Philip Hulitar Hospice Center. She was the wife of the late David R. Pearson. Born in Dighton, MA, she was a daughter of the late Frank Bettencourt & Rose (Machado) Bettencourt. Mrs. Pearson was a homemaker and member of St. Mary’s Episcopal Church for many years. She enjoyed puzzles, yard sales, & table painting. She leaves her loving children: Kenneth F. Bettencourt & his wife Regina of Blunt, SD, Jo-Ann Malark of Seekonk, Dorothy M. Visinho & her husband Luis of East Providence, & David R. Pearson, Jr. of Winchester, VA. Cherished grandmother of Heidi, Holly, Joshua, Stephanie, Tiffany, & five great-grandchildren. She was the sister of Angelina Oldham of East Providence, Cynthia Coggshall of Raynham, & Kimball Bettencourt of Rehoboth. Her Requiem Eucharist will be held Monday, September 17, 2018 at 11:00 am in St. Mary’s Episcopal Church, 81 Warren Avenue, East Providence. Burial will be private. Calling hours are respectfully omitted. In lieu of flowers, gifts in her memory to Hope Hospice, 1085 North Main St., Providence, RI 02904 or to the Leukemia & Lymphoma Society, 3 International Drive, Suite 200, Rye Brook, NY 10573 will be appreciated. Arrangements have been entrusted to J.H. WILLIAMS & CO. FUNERAL HOME, 210 Taunton Avenue, Route 44, East Providence, RI.